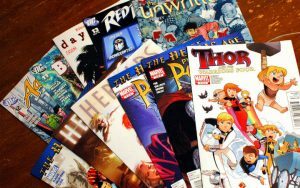 Comics industry harassment: Is progress finally (if slowly) being made? Since the Harvey Weinstein story broke wide open last month, there’s been a flood of reports of sexual harassment by many famous figures in the entertainment industry. Many of these figures have been accused by others for months or even years, but with no consequences until now. Eddie Berganza, a longtime editor of the Superman titles at DC Comics. Berganza was finally fired from DC on Monday. Chris Savino, creator of Nickelodeon’s “The Loud House.” Savino’s been let go by the network. Brett Ratner; Gal Gadot refuses to do a sequel to “Wonder Woman” if he’s involved in the production (fortunately, his company’s agreement with Warner Bros. expires next year). Andrew Kreisberg, the producer of the various DC superhero shows on The CW. And a lot more… at a rate that’s almost difficult to keep up with. As others have pointed out, Berganza (and others like him) don’t exist in a vacuum. (See the treatment of Janelle Asselin a few years back over criticizing a “Teen Titans” cover, of all things.) There’s still plenty of questions about the DC management that ignored or accommodated this behavior. Stop the blacklisting of people within the industry. Now. Start enforcing HR policy. If you don’t have appropriate HR policy, create it now. Support and believe people reporting abuse within these companies. A safe reporting structure. Investigate and prevent people from protecting abusers. Create a diversity awareness education program that all staff must complete. If you have failed to hire diverse staff over the last 60 years or so, announce a system of enhanced hiring of diverse staff at ALL LEVELS. You can’t seem to do it on your own naturally so force the issue forward. Announce that anyone being abusive to others will face sanctions, including firing and legal action. Basically, stricter anti-harassment policies, hiring more diverse staff, listening to and not punishing those with complaints, and showing problematic staff the door. It’s the same standards one should expect in any work environment. In 2015, I wrote about some of the comics industry’s problems with both harassment and diversity. I also pondered a few ways to spur changes besides the ones Cook listed, while noting the downsides of each one. It looks like high-profile problematic individuals like Weinstein are finally making more people willing to come forward, in spite of the risks involved. But again, whistleblowing isn’t easy. Mainstream non-comics media finally picked up on Berganza, as a Buzzfeed article exposed him to the world at large. And with a major and critical movie coming out this week, DC Comics (and Warner Bros.) can’t afford bad publicity. Of course, journalism today has its own problems. But as long as Warner Bros. and Disney are making millions on superhero films, they might want to consider keeping closer tabs on the comics operations fueling their films’ stories and characters. Women and minorities have, and will continue to, create their own comics, and that’s a good thing. Still, it doesn’t excuse the behavior going on by major comic publishers, nor means such behavior can be ignored. 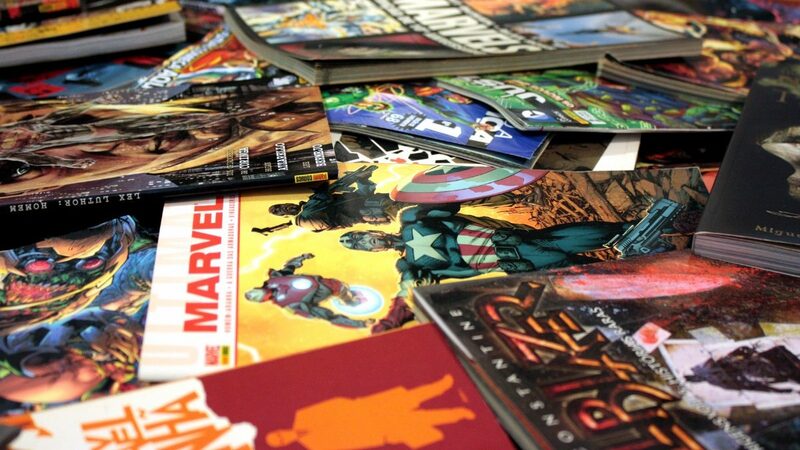 Ultimately, change is still needed in the comics industry. Implementing progressive hiring and anti-harassment practices, plus dealing with problematic individuals, are needed in the long run. Of course, if publishers won’t do such willingly, then changing demographics, sales trends, and strong investigative journalism/embarrassing mainstream media press might (hopefully) also spur some change. Brexit leading to more expensive US comics in the UK?